In the world I'm designing, the most advanced nations chose to focus heavily on natural helium (readily available in this world) airships for reasons justified by the world (access to resources), each nation having a war-ready flotilla. I assume a ~1850 tech level for things I don’t explicitly talk about. I have started to sketch a few classes, and as they have been developed with inspiration from boats, I assume, except for gunships, that the primary armament (smoothbore cannons) would be on the sides of the ship. I’m not after utmost accuracy, but I've read some answers and I’m quite puzzled by opinion on cannons. For some, cannons would unbalance too much the airship, and for others, smaller caliber cannons would be ok. My first question is: are cannons viable as an airship’s primary weapon? Secondly, still about armament, I’d like to equip my ships with short-range defense weapons. I’ve thought about weapons like early Gatling guns, but someone made the remark that they would be of no use against airships. Would they be utterly useless against small airships? In the last part, early rocketry plays a big part in warfare transformation in this world and rockets start to be used as an offensive weapon (much inspired by Congreve rockets). I want to have carriers, and I thought that gliders, equipped with small rockets (to gain altitude) and Gatling guns would be a good candidate for carriers, as they could harass enemies. This is by far the most far-fetched element (I’ve found 1914 for earliest carrier-launched raid and early 1920s for the first rocket-powered airplane), but is there a chance that could work ? Even if I studied some number from historical airships, I’m really not savvy enough on physics to assess the plausibility of what I’m suggesting. I’m not looking for 100% physically accurate airships, I just want to avoid the other people instantly finding fatal flaws in my designs. If you actually want this to be scientifically realistic, you've got a load of problems here. 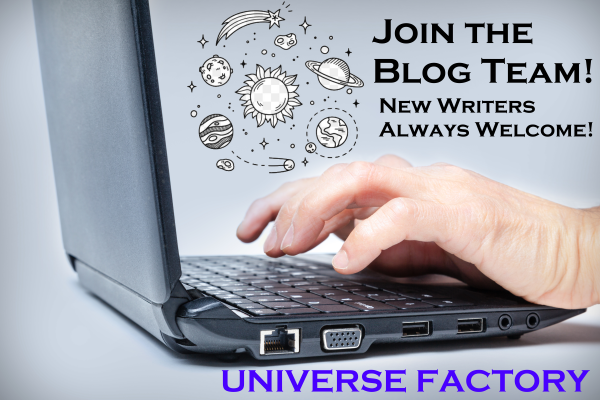 If you want it to be rule-of-cool technofantasy, life will be much easier. You're picked a setup where those two styles are a long way apart. You have plentiful helium as a given. OK, that helps, but making a lightweight gasbag that will actually keep helium in is hard. It's a very compact little atom, and it diffuses through substances that will confine air quite effectively. For example, a rubber balloon filled with helium will only remain buoyant for about a day, while one filled with air will hold pressure for more like a week. With 1850 tech, you don't have the kinds of materials that are used for modern airships. Then there's the question of weight and weight lifting. Muzzle-loading cast-iron cannons are really heavy. The twelve-pounder Napoleon, for example, used in the American Civil War, weighs 1,200lb, or twice that with its carriage. Your helium has a net lift of about 2lb per cubic yard, so you need 1,200 cubic yards of helium to lift each gun. Without crew, ammunition, the gallery to put them in, and so on. So if you have eight guns per side, that's 20 tons of guns, or about 20,000 cubic yards of helium. That's 40 x 60 x 80 yards, or 120 x 180 x 240 feet of helium, just to lift the guns. Your airship is going to need to be at least as big as the largest ones ever built on Earth. Those were the Hindenburg class, which were built with the most advanced materials of the 1930s. With 1850 tech, you don't have aluminium or magnesium available in quantity, or even decent steel, so your airship structure is going to be iron. That has a much worse strength-to-weight ratio than aluminium, requiring the airship to be even larger to lift the weight. This is not going to work well: there's a reason the first airships weren't built until the 1880s, and the first large ones in the early 1900s. Technology changed at least as much between 1850 and 1900 as between 1966 and today. On the subject of technologies, one that you are missing with 1850s tech is the internal combustion engine. You have steam engines, but they are horribly heavy for the power they develop. Again, the airship gets bigger and bigger. So, while you have the "reality-check" tag on this question, the answer has to be "no, this isn't practical within 1850s technology." John Dallman has pointed out the key limitation of airships, which is the vast size needed to lift even relatively small loads. Obviously an airship isn't going to carry a 1200 lb cannon, for example, and based on the sorts of weight limitations, relative speeds between airships and so on, small calibre weapons with relatively flat trajectories will be the ones airship navies will want for direct fire roles, and explosive rounds capable of spraying shrapnel will be a close second when looking at ways to attack enemy airships. 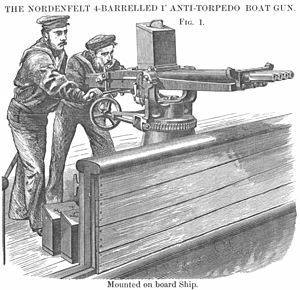 Using 1850 era technology, it might be feasible to arm airships with a battery of barrel organ guns like the Nordenfelt gun. Various versions of these weapons were made with barrels of up to 25mm calibre and a ten barrel gun could fire at a cyclic rate of 1000rpm. For airship use, smaller caliber ammunition and/or fewer barrels would provide a powerful, lightweight weapon. The Royal Navy eventually adopted a 4 barrel, 1" version which weighed 203kg, and was considered to have the sort of range and "punch" to be useful in repelling torpedo boats and boarding parties. 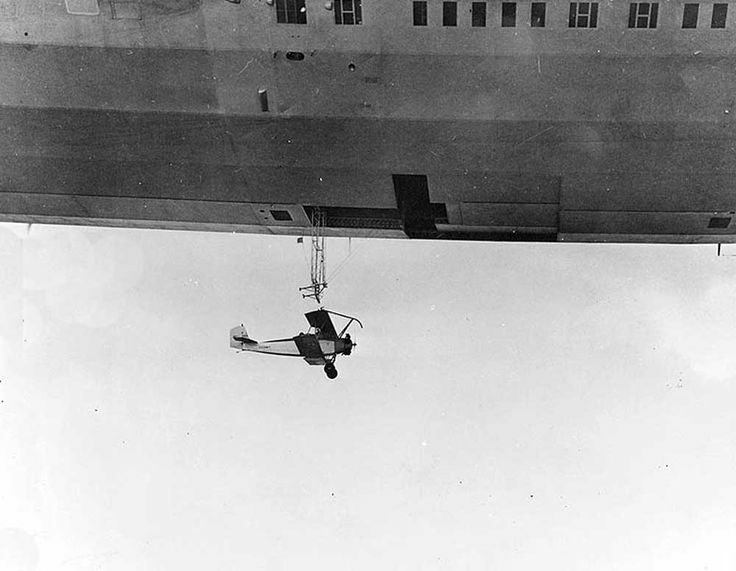 As for your use of gliders, this is similar in concept to the US navy's experiments in the 1930's of using giant airships as "aircraft carriers". The limitation is the same as everything else with an airship, you only have so much available lift, so a "Carrier" will not have as much lift for offensive and defensive weaponry. Trying to combine the various factors in your description, it seems the best way to provide both enough firepower to make an airship a worthwhile weapons platform and incorporate many of the elements you want, we need to combine the gliders with rockets to make an "aero-torpedo". This provides a light weight, high speed weapon with a relatively flat trajectory (allowing you to shoot at other airships), capable of carrying a reasonably sizeable warhead, so the blast of shrapnel can cause damage even if the aero torpedo misses. This also provides the ship with the means of delivering fire against ground and sea targets; aero torpedoes can be shot at wet navy ships or troops on the ground out of range of most small arms and cannon, and still deliver a useful sized warhead. Rocket powered aero torpedoes fired back at the attacking airship from ground or naval mounts will not have the ability to reach the same altitude, giving the airship a considerable advantage. Personally, I would avoid the cannon idea. Cannons were used on ocean going vessels because it could cause them to sink when they took enough damage to their wooden hulls. Causing hull damage to an airship is not the most efficient way to solve the problem. I propose the idea of some of the other early weapons such as ballistae. With sufficient force, this could be much more damaging to an airship than a blunt cannonball. 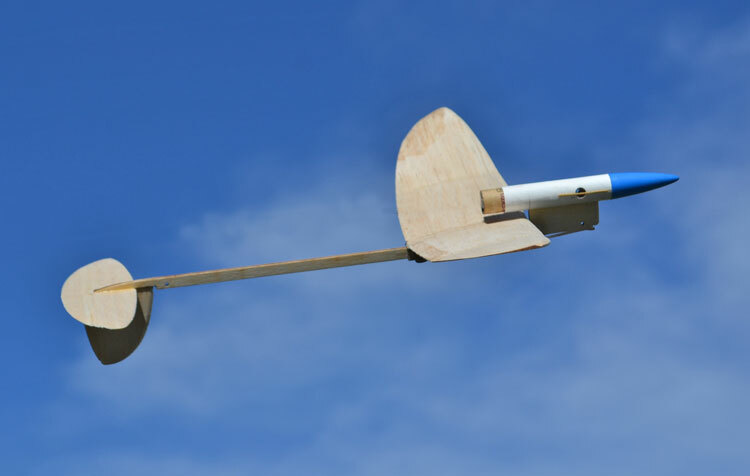 It could be made to penetrate several gas bags and it should fit the technology level that you are aiming for without hand-waving like a rocket would. If you do prefer to stick with cannons, which I also don't like due to recoil, I would consider something like chain-shot that could also be used to do more penetration based damage rather than bludgeoning. First and foremost you need to think about the size of your gasbag relative to the size of your vessels. With a large enough gasbag, split into as many small gas cells as possible, an airship could be peppered by long-range cannon fire all day without significant damage. This would force conflicts to take place at shorter range. In order to make your airships light enough to be realistic, you'll need to drop the thick oaken construction present on historical fighting ships and replace it with much more lightweight materials. Your ships simply can't afford much in terms of armour, so more focus will be put on smaller weaponry like deck guns, 18lb cannon, and maybe swivel guns. None of the huge 32lb cannon from the Men O' War! With all this in mind, you can certainly do damage with smaller cannon. Accurate shots at the supporting masts and rigging will be more damaging to your enemy than hitting their gasbag, possibly forcing their retreat if they think the whole thing is at risk of tearing off! Swivel guns and carronades can be devastating against an enemy crew, and I would expect gatling guns to have a similar effect (though these would be much more accurate than a carronade loaded with grapeshot). In terms of balance, the gondola of the airship where the cannons are mounted would be suspended below the gasbag and would certainly swing with a broadside, so it might become better practice to fire off the cannon one at a time. It should certainly be possible though. Tactics will be vital during an engagement. The ship with the wind gauge historically had an advantage (that is, the ship with the wind on their side could dictate the terms of a battle), but with airships altitude will be much more important. Get above your opponent and you can drop grenades, cannonballs, flaming torches or tree trunks on them, and with their own gasbag in the way they'll be unable to do much in retaliation. Rockets are a particularly good choice in this scenario as they don't require a big, heavy tube of metal (a cannon) to be fired - just a tripod. With the addition of fins they can be reasonably accurate, and inflict terrible explosive damage on your foes. I don't know if gliders will be particularly feasible, bearing in mind that for them to be at all useful you'd have to launch them from a high altitude above your enemy - from where you'd already have the advantage. The gliders would get a single pass on your enemy before being too low to be effective, and then they'd need to be picked up again - possibly from enemy territory, or the middle of the ocean. The manpower (and weight) would be put to better use on more guns. All the other options pointed out nicely why and where the limitations of cannons are. Too much weight, too little impact on the gas balloon. The airship has a huge baloon, but a relatively small passenger compartement below. It can't be armored, since weight is obviously a problem, so it is most probably made from wood. Shooting that with a small-calibre gun is going to send wooden debris and splinters flying everywhere through the passenger area, and crew and sensitive material will be "damaged". And if you lack the crew to maneuver your airship... right. So i do see a lot of potential and good use for small-calibre "automatic" firearms. I do also see something else that might be interesting: fire. Fire of any kind must be the bane of airships. Yes, i know, helium fillings will not make these airships go Hindenburgh on the first hit. But it might still burn the hull down, releasing all the precious helium into the sky. And if the crew compartement is on fire - how on earth are they going to extinguish it, having no water? I might imaging they try to use helium to do it, but that helium will be missing later for other maneuvers. So what about flame throwers, incendiary ammunition and .. mortars? Installing one or two mortars on an airship might be possible. You need an incendiary payload on your mortar bombs. Time the explosions just right, and you set a huge part of the enemy airship aflame. That is by the way what i would suggest for rockets, too. The statements about blimps staying in the air after being riddled with bullets reminded me of one episode of the TV show mythbusters. There they found out that caltrops took very long to deflate a car tire. That made them test caltrops made from hollow tubes and the result was an instantly flat tire because the air rushed out of the tube sticking in the tire instead of slowly leaking out of the tear. So perhaps ballistae shooting hollow spears designed to stick in might do a better work? Sure, airships have a rigid skeleton and through that less pressure in the envelope but it might be a way to speed the downing. Especially if you manage to some in low and some high, that could create an air flow forcing helium out on top which is replaced by ambient air. If you want to bring down a helium airship, your best bet is going to be a large explosive charge (or charges) detonated inside the gas envelope. That should both cause overpressure-based rupturing of the envelope and force helium out, replacing it with combustion gases (which will be much denser than the helium, at least after they cool). 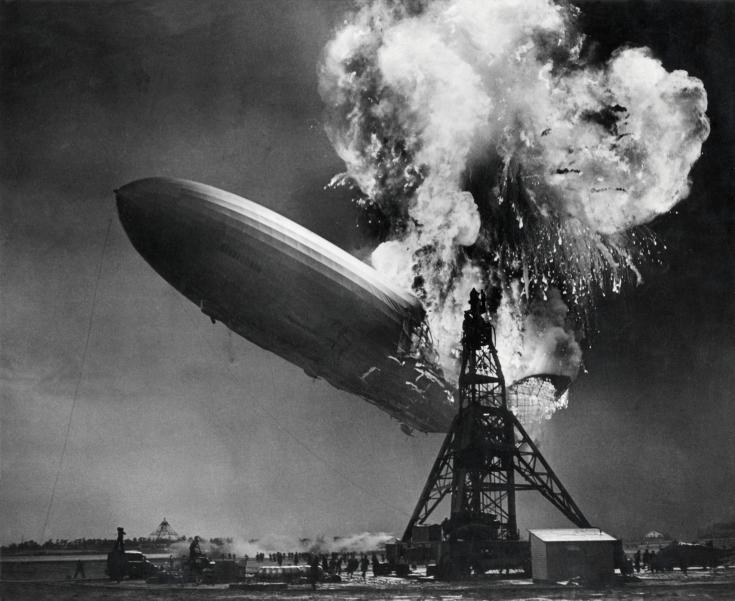 Incendiaries are also well worth considering - it's likely that the Hindenburg's fire was mostly the skin of the airship, and not the hydrogen inside. How you create a delayed charge with 1850's tech is another matter; but it's not impossible as shrapnel shells existed in those days. Given the thin skin of the airships, the complex nature of the munitions and the need to lift the weapons using an airship (giving significant weight restrictions) relatively low-velocity weapons would be the way forward - think howitzer (or even rocket, if they can get the accuracy up to an acceptable level) rather than cannon. If you want to attack surface targets, then bombs would be the way forward. Ground-based air defence would still need cannon, in order to achieve sufficient altitude. barbed chain shot and spider shot would be fairly effective against airships, tearing large holes is what you want. with 1850's tech there will be a lot of wood and rubber coated fabric in your airship so incendiary devices, like fire rockets and light weight carcass shot should also be common. if they do have cannons they should be bronze, they are lighter and on an airship weight is everything, even then they might have one or two at most. ground defenses however where weight is not an issue would love to use cannon vs airships. As someone mentioned weaponry is less of a problem then how to make your airships move. Not the answer you're looking for? Browse other questions tagged reality-check airships or ask your own question. How can I make steampunk airships less flimsy? Can one Battlestar conquer Earth? How to sail into the wind on an airship?